Fundraiser for Alistair Spence by Jim Gourgoutis : Lend A Hand To Alistair! Lend A Hand To Alistair! Hi Everyone, firstly THANK YOU for the all the support and loving comments you've all generously offered. Alistair, I think, is pretty overwhelmed by it all, which is why he asked me to shut down donations once we'd crossed the $7k mark. Offers to help keep coming in, so he's asked me to turn this Gofundme back on! We'll continue to accept donations and ALL FUNDS RAISED beyond the $7,000 already reached will be donated directly to local relief efforts. Alistair Spence (AKA Duncan Cycles) is well-known in the online bicycle community for his Flickr and Instagram photos of his well-thought custom bicycle and cargo-rack creations. After living in Seattle, WA for 20+ years, last May Alistair uprooted, moving to Paradise, CA to pursue his dream to be a full-time bicycle framebuilder. 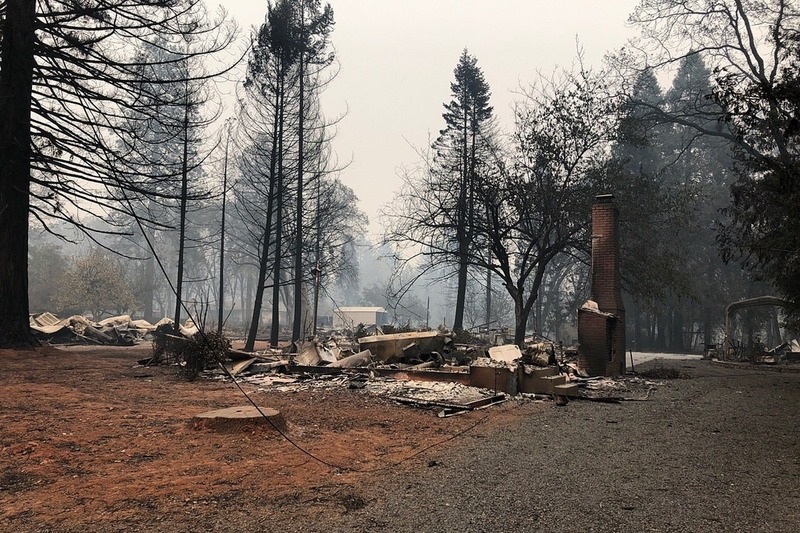 Alistair just got his new workshop set up in July -- but he's lost both it and his home in the Camp Fire that's leveled the town of Paradise (See video of the neighborhood damage). So this is to help him get back on his feet! While I've only met Alistair once in person (at the 2nd NAHBS in San Jose, CA back in 2006), I consider him a friend. 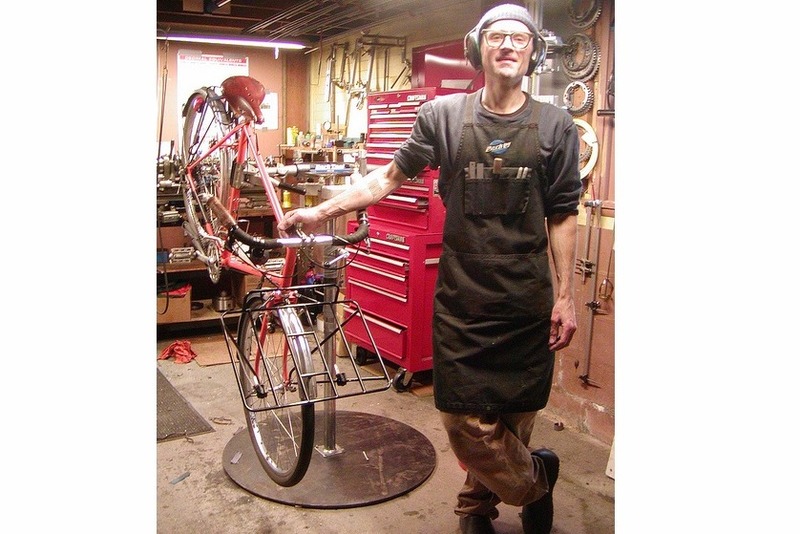 His detailed photo-journaling of bicycle cargo rack construction on Flickr inspired me to build my first porteur rack, and his willingness to reply to my many emailed questions helped me to gather equipment and succeed in building racks for myself and others. Furthermore, my rack-making skills gave me the confidence to attend UBI in 2015 fulfill my own dream - to hand-build my own lugged-steel 650B randonneur frame & fork. I feel like I owe Alistair something for the feelings of joy and satisfaction he's helped bring to my life, so I'm setting up this Gofundme to try to help him out. I want to keep his inspiration flowing! Alistair will get full beneficiary rights to any funds raised here, and only he will be able access any of it. I'd be super-appreciative of any help you can provide. Thanks! Hi Everyone, thanks so much for your support to meet the goal! Alistair donated $1000 to the North Valley Animal Disaster Group ( https://www.nvadg.org/) , $1000 to the Butte County Sheriff Search and Rescue, ( http://www.buttesar.org/) , and $450 to Tommy Barrett ( https://www.gofundme.com/barrett-construction). 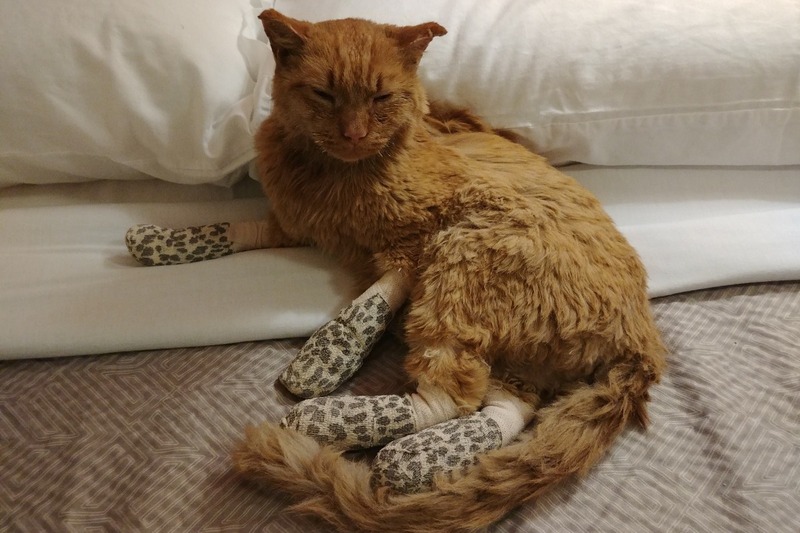 He's also going to use a little to help offset the ongoing medical costs for his cat, Cheese, who was miraculously found and returned to them. Hi Everyone, firstly THANK YOU for the all the support and loving comments you've all generously offered. Alistair, I think, is pretty overwhelmed by it all, which I why he asked me to shut down donations once we'd crossed the $7k mark.